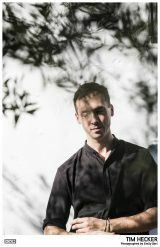 Tim Hecker is an electronic musician and sound artist based in Los Angeles, United States and Montreal, Canada. Few artists in the field of explorative ambient music have remained as questing and unclassifiable, and over his fifteen-year career in the industry he has released a number of acclaimed and award-winning albums including Harmony in Ultraviolet, Ravedeath, 1972 and Love Streams. As the New York Times put it, he plays “foreboding, abstract pieces in which static and sub-bass rumbles open up around slow-moving notes and chords, like fissures in the earth waiting to swallow them whole.” His first book, IN SEARCH OF OBLIVION, an exploration of the human obsession with loud noise, will be published by Fourth Estate.